The first two books of All for the Game are available at Smashwords. The Kings Men is still a work in progress and is expected to be released in 2014. Firstly we are not going to repeat the synopsis (so please read it) or spoiler you, but between me and MY Oracle (who shall remain anon) we shall briefly outline, tell you what you can expect and how to approach this absolute gem of distinctive originality. And yet I fear we still won’t reach the point. Foxhole Court is really difficult to slap a few words on and stuff in a pigeonhole, so grab a cup of coffee and allow us to explain. The Foxhole Court is ‘Harold and the Purple Crayon‘ written for grownups. It’s a young man’s adventure/coming of age story set in a made up world which is close enough to ours to fool you. It’s as if Nora said “wouldn’t it be fun if…” and started drawing her story, inventing pieces along the way, peopling it with all kinds of interesting, deranged or damaged characters, adding in exciting and dangerous backstory, giving them something to fight for, creating threatening shapes lurking in the darkness, making stuff up as she needed to. But she didn’t tie herself to the logic of the real world, she made a new and a little bit fantastic one. Like someone who is looking at our world from outside, say the Little Prince, and starts to create a story about it. This sense of the fantastical, of things similar but skewed just a little bit off reinforces the story. The viewpoint character, Neil, has grown up on the run without really knowing anything of the world he lives in. He’s always been an observer and from what he sees, or thinks he sees, he makes weird assumptions and does wrong things. We ride along with him, learning as he learns, or horizons expanding as his expand. We make the same wrong assumptions. It’s really clever and one of the best parts of the story to realize the author has sort of regressed us to a level of childish awareness by sticking us in a world that is almost, but not quite, the one we know. Somebody said:You won’t find characters like this outside of unpublished works. And they are right! These individuals are all kinds of rough, raw and messed up but that’s what makes them awesome. A bunch of fractured talented misfits that wouldn’t be misplaced in the casting of Lord of the Flies will hold you rapt. Each individual is uniquely multi-faceted, undisciplined, and untrusting, volatile victims of their pasts. From a dangerous knife wielding psychopath to a freaky but angelic manga styled girl, this mixed gender team of players take you on a ride that’s fresh and exciting – destination unpredictable. Exy – a new age game similar to hockey and lacrosse, but faster and much more violent. Bigger than the NFL and yes, you need to suspend your belief to accept that, but once Nora puts you on the court even a non-sports fan (like me) is not immune to the intensity, the atmosphere and nail biting anticipation of the next move. Exy is utterly exhilarating! For some of these kids it’s an obsession, for others it’s a chore but for all of them it’s a chance when they never had one to begin with. Labels Schmabels … let’s make a new one. Nora Sakavic created something special here that goes WAY beyond the definition of a NA/YA /Sports tag. Honestly, the labels are dangling by a monkey’s ball hair, there simply is no identifier to define this series as it stands. The whole concept and styling escapes any kind of categorisation, evading the trope mould (thank you Nora!) and thus (very sadly) making it unmarketable – but that doesn’t mean it’s not good. In fact it’s pretty damn amazing! Worthy of its very own genre, so for the Suits scratching their heads over the concept, and for the sake of the tag lover; we shall name it … Misfit fiction. Yes but what about the Romance?! 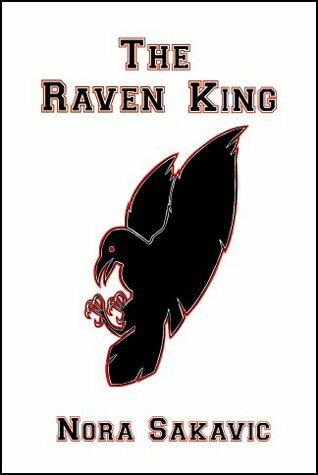 There is more to The Foxhole and Raven King than unique characterisation and an original perception to make it remarkable. This writer has such a talent for dialog she thrills me with it – I am obsessed with her dialog! Each word is concentrated, vital. It’s heady. 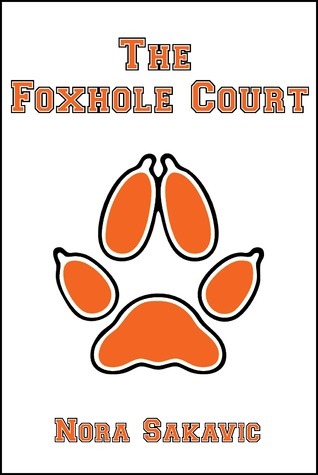 The Foxhole Court has such a slow reveal and yet it holds my attention absolutely. Any lingering frustration of inaccessibility to characters like Andrew is rewarded in The Raven King – it’s faster, a lot darker and a lot more accessible to all whole team. Now my Oracle says it slips into the melodramatic but I’ll just cuff her one and say NO, it’s staggeringly brilliant! The reviews are all over the place in trying to describe this. The best ones are the ones that prove my point by missing the point entirely. Bullet by bullet arguments of why everything in the story is wrong is exactly why everything is right. Because things CAN happen if you suspend disbelief or if you are willing to look at the world like a child does and come up with your own explanations for the things you see. (Especially in Nora world)That’s not the way sports works? Looks like it to a non-sports person. That’s not the way drugs work? Looks like it to someone who sees the difference between Mommy on her meds and Mommy off of them, etc. So to read this, you have to have a sense of wonder and an ability for childish abandonment and childish insight that some adults are going to struggle with. Save this for when you fall into a funk, save it for when you are tired of the old tropes and paint by numbers plotlines. Save it for when you want something with bite, savour it. It’s special. It’s free, and it’s very VERY good. Now I wonder if the Coen brothers are still producing …. Thank you for reading and Thank you for supporting free fiction! Me too… I’m beginning to feel like I’m missing out. This entry was posted on November 6, 2013 by BioB in FanFic / FreeFic, Reviewer: Shelley and tagged favorites, freefic week, nora sakavic.